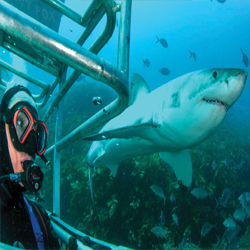 Noseweek 232 Shark mystery: Where have all the Cape's Great Whites gone? I agree with Fallows - the shark fishery folk need to prove it's not them because it so obviously could be and the allocation needs to be TAC based not TAE which allows for shenanigans aplenty. An interesting view – but why are you contributing to the discussion under a pseudonym? Is there something shameful about your view? Does it pose a real risk to your safety? I find it a seriously unhealthy sign that we can't have a perfectly ordinary, respectable discussion using our own names. You might even be frightening off other potential participants in the discussion because you are suggesting there is something to fear here. I can't see it.